7 Kids and Us: 4 Disney DVD/Blu Rays for $1 Shipped! Great for Holiday Gifts! 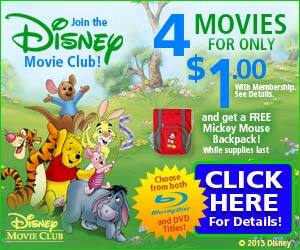 4 Disney DVD/Blu Rays for $1 Shipped! Great for Holiday Gifts!